We believe that knowledge of a region’s food and wine is intrinsic to understanding its culture. 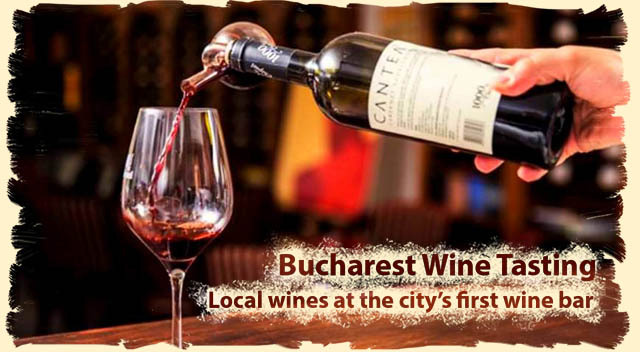 Book the wine tasting tour and discover Bucharest’s first wine bar, located in a century old manor. The traditional architecture, elegant interior, the wine bottles displayed like books on shelves and your private tour guide create a perfect setting for wine tasting session. Romania is the world’s 13th largest wine producer with over 2000 years of viticulture tradition. Whether you’re a casual wine drinker or a true connoisseur, you’ll enjoy yourself as you discover the distinctive “terroir” of famous Romanian vineyards like Dealu Mare, where the wine is nicknamed “liquid gold”. You’ll be able to taste different types of local wines, traditional cheese & dry sausages. You will also learn about the wine making process and discover the secrets behind the perfect taste from an experienced wine tasting specialist. Mihai picked me up on time from my hotel and we went to Bucharest’s first wine bar. Our host provided lots of information about the history of wine-making in Romania, what happened during the communist era, and what’s happening now. He shared his enthusiasm for wine-making with us, and I learnt a lot about the climate, science and economics of wine. The wines were great and we got to sample many glasses. The traditional sausages and cheeses that accompanied the wine were very nice, too. Totally unhurried and with all questions answered. Highly recommended! 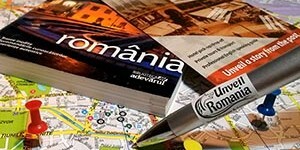 Book the private wine tasting tour in Bucharest! The Bucharest wine tasting tour must be booked at least one day in advance.